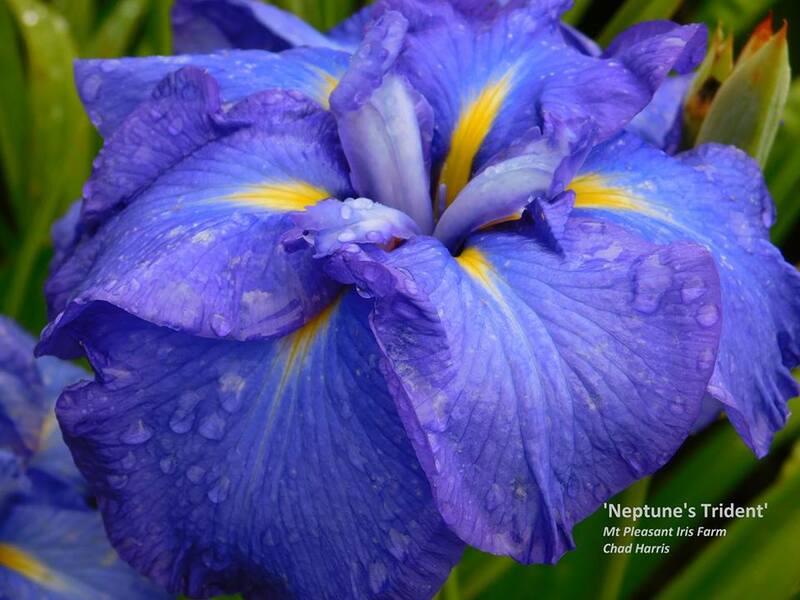 'Neptune's Trident' ( Chad Harris, R. 2010) Seedling 00JL1. JI (6 F.), 38" (97 cm), Very late bloom. Falls rich smooth blue ribbon blue (RHS 93B), signal small bright yellow (7A); style arms dark blue-violet (93C), crest darker (93B). I. ensata "Hekigyoku Kamo" X 'Southern Son'. Salmon Creek 2011.